While museum exhibitions and collection displays present insights into an institution's collecting activity, there is little public profile given to the wider thinking behind how an individual collection is built. Yet it is fascinating to follow the thought processes, the aspirations, and the dilemmas facing our contemporary institutions. This website aims to present such discussions in an engaging way, and offers a key repository for comparing and contrasting approaches to collecting contemporary art in Scotland, as well as a portal to broader debates about collecting. 11 institutions around the country are actively bringing contemporary works of art into their collections. In each case, they have had to think carefully about how to do this. Collections curators have devised varied and nuanced collecting strategies, defining what kind of works they intend to acquire, and how those works will fit in with their exisiting collections - whether those be historical art collections, or wider museological collections of artefacts, civic collections, or university collections, extensive national collections or small independent collections etc. 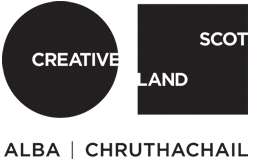 As well as providing funds for such acquisitions, organisations such as The Art Fund, Contemporary Art Society and Creative Scotland/Heritage Lottery Fund, and Outset Contemporary Art Fund, all encourage and support the professional development of curators through strategic schemes - asserting the critical importance of strong curatorial vision in building relevant and resilient collections. 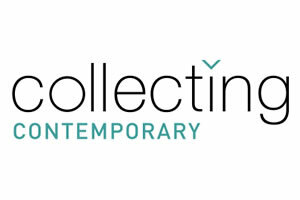 In the best cases, all forms of collecting contribute to a virtuous circle: diverse collecting activity helps art production to thrive - an artist's development is supported when public and private collectors buy their work, and communicate their enthusiasm to others - and the more compelling the art, the more rewarding it is to engage with. Public collections offer a rich perspective on collecting through the centuries, whilst at the same time aspiring to shape and reflect contemporary culture. Institutional collections also gain further depth from loans, gifts and bequests from private collectors. In illuminating the collecting that is already happening, we also hope to pave the way for imaginative responses to some of the challenges ahead - as art continues to evolve in unexpected ways, public funds dwindle, and institutions must re-think themselves.